As someone ready to flourish, you can use many resources to enhance your life. From podcasts to wise friends, there are a variety of methods available to provide advice. However, there’s nothing like an inspiring book about transforming a mundane life into a vibrant, full one. With the abundance of options out there, which books can steer you in the right direction? Which ones are more than a pleasant read? The following books provide deep insight and life-altering lessons for an unforgettable experience. Here are seven books that will powerfully impact your life. In the midst of the ordinary, Bob Goff’s “Love Does” offers a profound understanding of the world. As you learn to exchange passive emotions for meaningful change, this book revolutionizes your perspective on love. Goff is intent on helping you discover your potential and use it to make a difference. Develop a purpose that can fuel worthwhile actions for a richer life by picking up a copy. Anne Lamott’s “Almost Everything” is a refreshing read in the midst of chaos. While you’re surrounded by overwhelming circumstances and uncertainty, she points to the fact that hope is never far. Setting the stage with the complications of life, she moves toward the promise of progress throughout the book. If you need a reason to press on, let Lamott instill motivation into your routine. For a candid read to rid yourself of worry, Sarah Knight’s “Calm the F*ck Down” can shake you out of your stupor. An empowering push to regain control is all you need, according to Knight. In this book, you’ll find anxiety-fighting guidance to get your life back on track. Quit your overthinking habit and leave whatever’s holding you back with the help of this read. “Grey’s Anatomy” creator Shonda Rhimes forms “Year of Yes” around her freeing philosophy. Sharing the story of how fear held her back, Rhimes explains her solution to challenging situations. As an introvert in the spotlight, she shied away from anything outside her comfort zone for a long time before realizing her mindset. Follow her example of embracing the unknown after soaking in her authentic story. “The Power of Moments” by the Heath brothers examines how small snapshots in life can be imprinted forever in your memory. This groundbreaking read addresses the mystery of influential experiences. Chip and Dan Heath consider how to personally craft meaningful moments, and if you can implement their ideas, you just might redefine your life. Brené Brown’s “The Gifts of Imperfection” lets you know that it’s all right to have faults — what matters is how you handle them. Negative thoughts can prevent you from knowing your worth, but Brown’s book reinforces inner strength. With psychology research and encouraging commentary, you can learn how to accept yourself as you are. Promote gratitude and self-awareness with this thought-provoking book. David Schwartz’s “The Magic of Thinking Big” is an effortless read about pursuing significant goals. If you’re intimidated by large dreams, Schwartz recommends you take manageable steps to move toward accomplishment. With practical ways to shift your behavior and thoughts, you can channel success when you integrate these self-help measures. As you aim for a productive and full life, invest your time in valuable books written by uplifting authors. 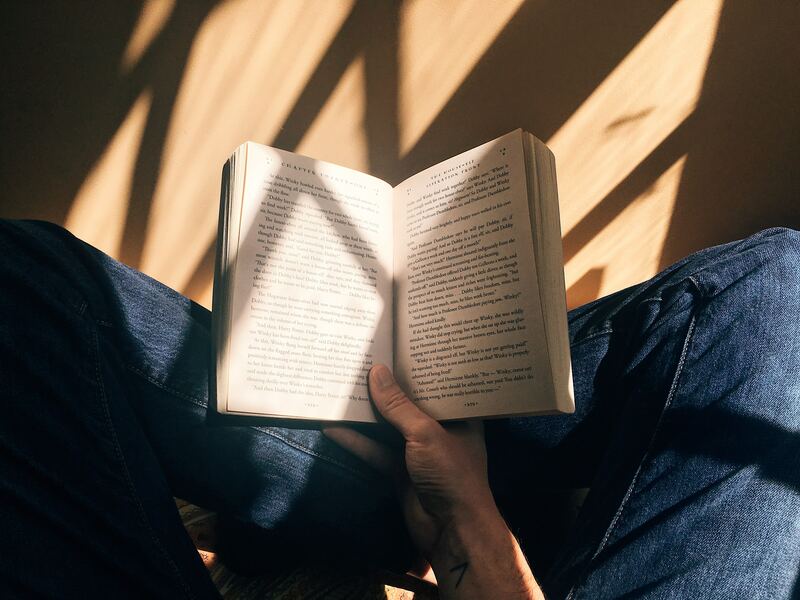 What you read can shape your attitude, motivation and actions, so sit down with books that can improve your journey.